Former Sauber and Haas driver Esteban Gutierrez said he plans to return to Formula 1 next year with Williams. Gutierrez left the F1 after the 2016 season. The driver, who joined the Mercedes as a simulator driver, came to some races. Gutierrez denied making an offer to Williams, but said he had a chance to compete in F1 next year. Williams is the only team on the grid with a really empty seat. Lance Stroll is forcing into Force India when Toro Rosso wants to replace Hartley. Williams' nominees include Sirotkin, Kubica and Ocon. Gutierrez "I work hard. I was well prepared and motivated this year." "I work with Mercedes on a simulator, do different things, and I'm optimistic about the future." "Williams is one of the most respectable teams in Formula One." "It's been hard years, but I'm sure they can come back." said. Gutierrez raced in Sauber in 2013 and 2014 and became a Ferrari test driver in 2015 and competed in Haas in 2016. Gutierrez had a score of 29 when his teammate Grosjean got 29 points. Gutierrez "I have things to do in Formula 1, my motivation is high." "At the beginning of the season I was not in touch with the Formula 1 teams and I am now in Mercedes. Mercedes is one of the most important teams in Formula One." "I have a lot to do in my career." said. 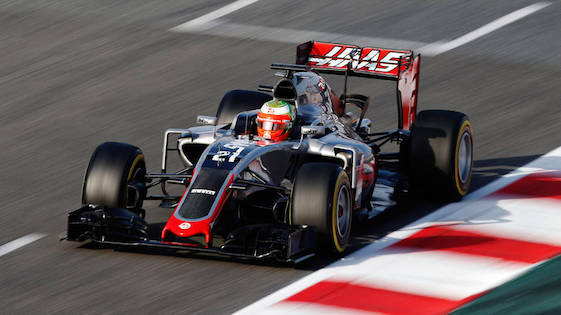 Gutierrez said that his time at Haas made him a stronger driver. "I've matured personally and professionally after passing through those hard times." "I know what I want, so I'm here." Dec 2 Vote for the best helmet of 2018!